Why hello there everyone! 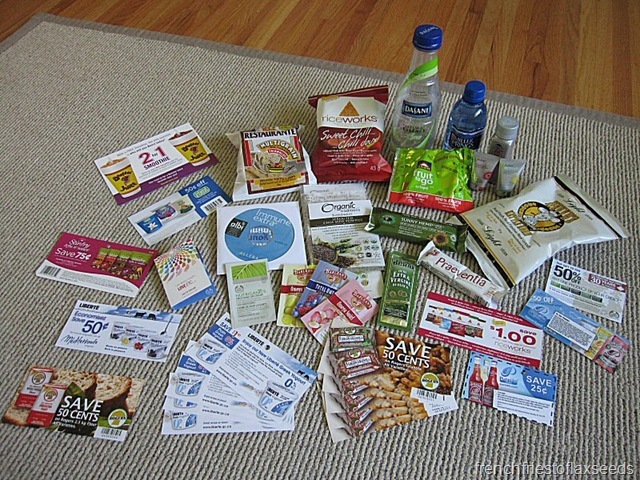 I’m back from my much needed impromptu hiatus to bring you my recap of The 2010 Wellness Show. It was the perfect way to kick off my summer vacation. Yes, you read that right – I’m officially on vacation from school until September. Had my last final on Thursday, plus the big dietetics interview (fingers crossed I did well enough to get into the program). Now I’m ready to spend my new found free time on so many projects I’ve been putting off. I’m excited! But, I digress…let’s talk wellness, shall we? I had a quick brush with the show on Friday afternoon when I made my way downtown to drop off my muffins for the Media Muffin Contest. My full show experience was on Saturday, when I had plans to spend the day there with my sister and cousin’s wife. We were up bright and early (for a Saturday morning anyways), and got to the show around 11 am. 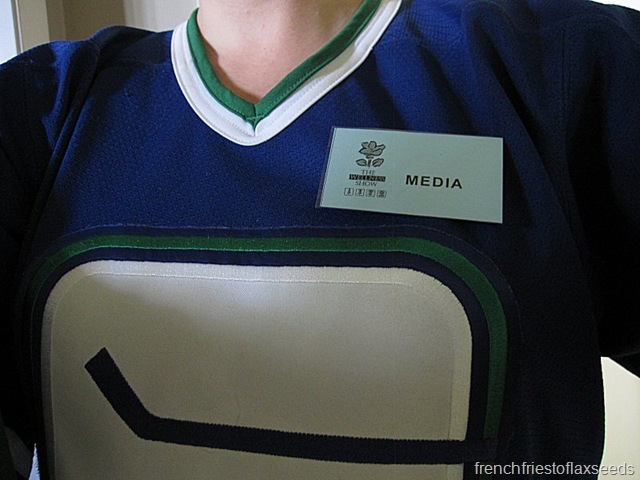 I proudly donned my “Media” badge (while rockin’ the Canucks jersey, since it was game day). What I did photograph for you was all the loot I brought home with me. Starting with all the free shiz. 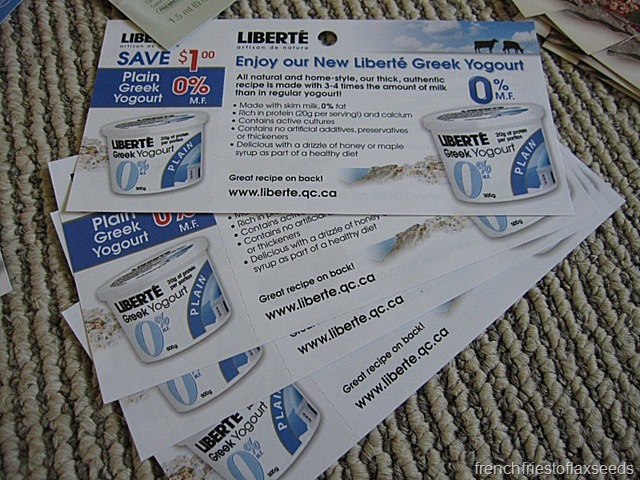 I think the highlight of that collection are the coupons for Liberté Greek Yogurt. 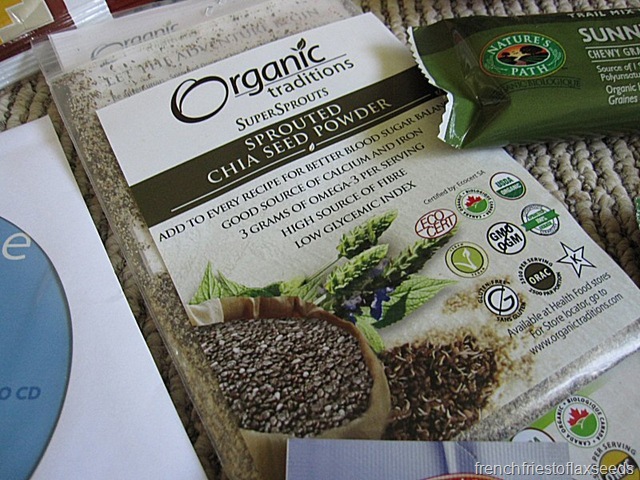 I was also excited for the chia seed powder. 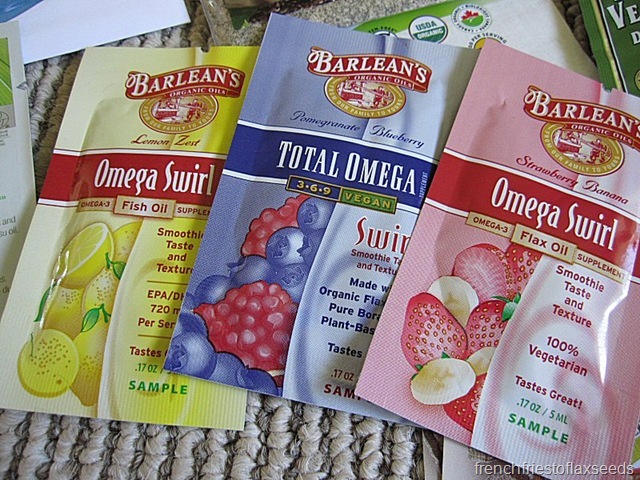 And these Omega-3 Oil supplement samples from Barlean’s. They had all of their oils available to taste, and let me tell you, they are delicious. Too bad they had none for sale at the show – I would have probably purchased some. 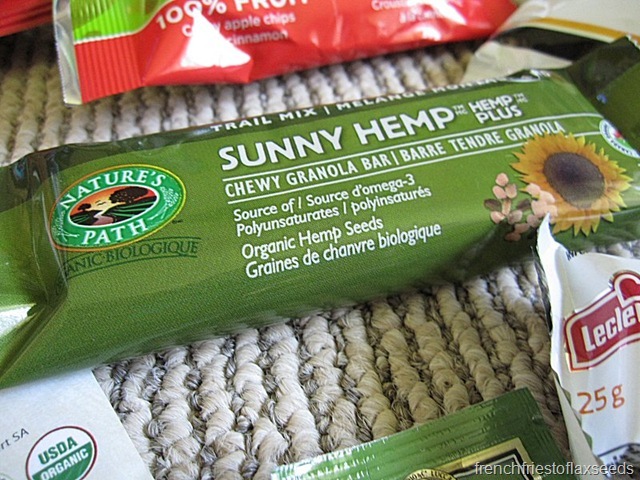 Note to exhibitors – if you have it to sample, you better have it for sale! And if you have product for sale, you should probably be sampling it. I’m just saying. Speaking of things for sale, you don’t think I went without purchasing a few items, did you? 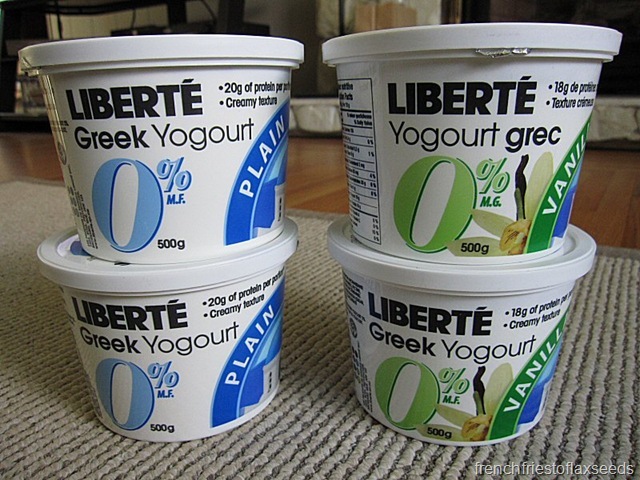 Let’s talk about the deal of the show: Liberté Greek yogurt – 2 for $5. Yes, you read that right. And did you know they have a vanilla flavour? It’s good! Too bad I didn’t go to the show on Sunday. Word on the street was the yogurt was on sale 2 for $2! 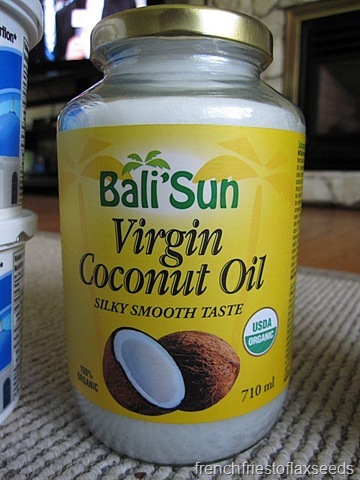 I also finally broke down and bought some Bali’Sun Coconut Oil. I was able to taste it, and OMG, it was delightful. 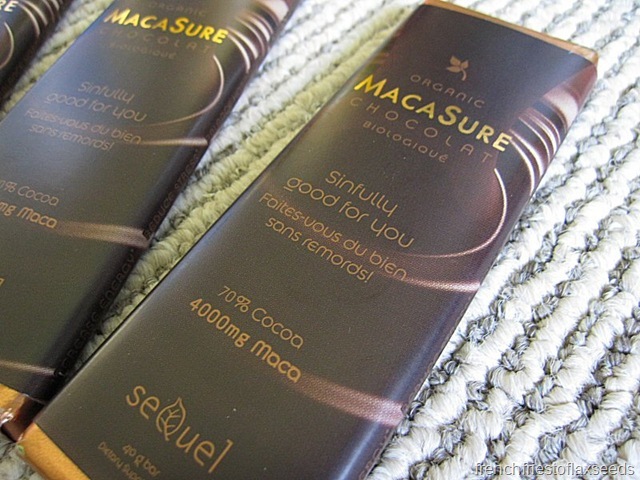 Last, but not least, I splurged on some MacaSure Chocolate bars from Sequel Naturals. They are delicious. I did check out the Vita-Mix booth at the show, hoping they would have some good deals on their blenders, but frankly, I didn’t think they offered much of a deal. Not to mention, I’m not totally sold on actually needing one. And I wish they were designed with a little more style in mind. I know, I’m so demanding. Overall, I quite enjoyed the show. I wish I had more time to take in some of the cooking demonstrations and various seminars, and that I could have schmoozed more with vendors there. I don’t know why I never think to bring out my blog business cards when I’m out. I fail and social networking. Next year though – next year I’m going full on, and maybe without family in tow 😉 Or I’ll just have to go on multiple days. Big thanks to Rebecca for hooking me up this weekend! 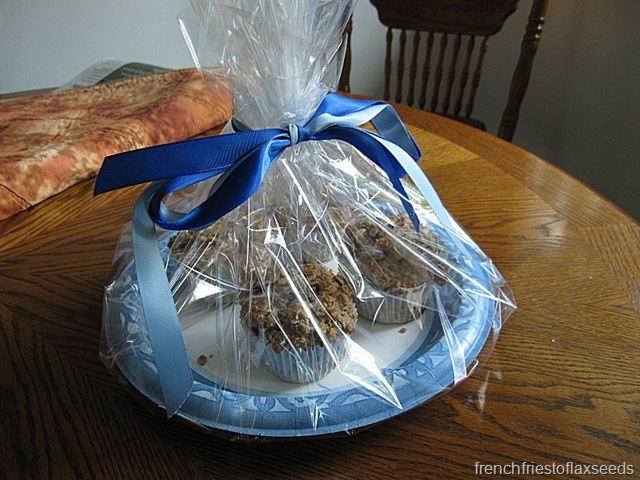 Stay tuned for a whack of things this week, including a full muffin contest recap, winner of the Genuine Health dermalipid contest, a book review, my plans for my extended summer break, and oh yeah, some food! It was so much fun hanging out with you IRL. And your sis and your friend were delightful. And how much do we love Desiree? She just nice all the way through. It was a great weekend–I too, wish we had been smart enough to take some photos of all us gals together. Thanks again for all your participation–you’ve been such a good sport. And I’m so happy to have met you through Twitter. I have a friend that says that Facebook is all about keeping in touch with people you already know, and Twitter is about meeting people you didn’t know you needed to meet. You fit in to that category! Sounds like a fun show! 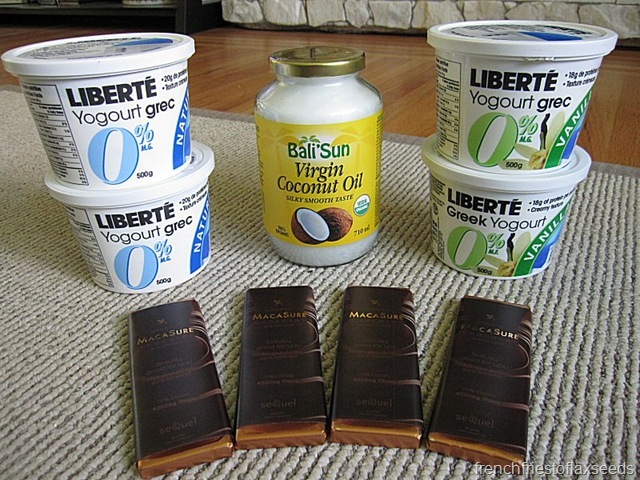 Free stuff is always good and what a score on the yogurt!!! You got more free samples than I did!! But I did get my yogurt for $1 each so that’s a bonus. 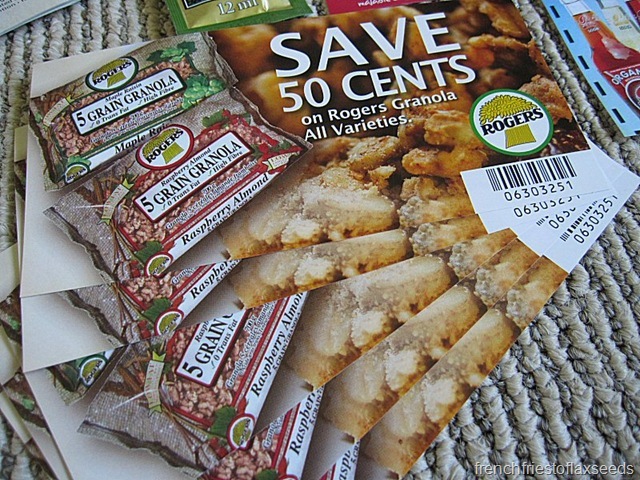 I also ended up buying Prana Chia Seeds, Gelderman Farms Farmer Sausage, Balsamic Reduction, more Western Sage Honey… and there were a few products I tasted that I may buy in the future.